Our approach is enthusiastic and highly professional. Biggin & Scott Daylesford work with total conviction in achieving amazing results that are commensurate with the superb quality of advertising & high calibre of Sales & Leasing Consultants you engage. You can rest be assured that at every stage, we are always willing to go above and beyond to achieve the best possible results for you. The way we measure our success is in our capacity to utilise the power of our brand to provide superior advantage to all who engage us. Our brand is synonymous with superb homes and truly benchmark results. For this reason we also attract the best buyers and tenants in the market as of today. in our region and the industry. Biggin & Scott was established in Chapel Street during the 1890 property boom and has been trusted by generations of Melbourne property sellers, investors and landlords. Our founder, TGL Scott, was the Mayor of Prahran and a local identity. 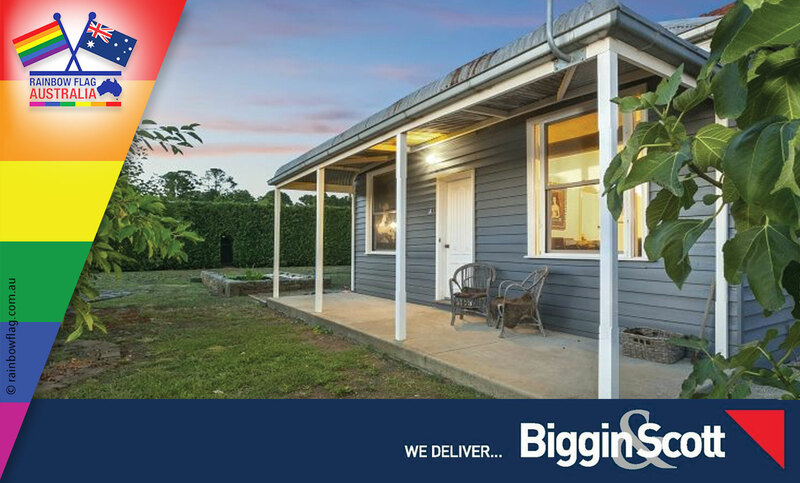 Today, Biggin & Scott is experienced in all aspects of real estate including residential, commercial, sales, auction, leasing, property management, body corporates and home loans. We have a continual influx of youthful enthusiasm and experienced real estate professionals who are progressive and dynamic. The hallmark of our success is achieving high prices for our vendors and yields for our investors. Thank you for visiting the page of Biggin & Scott as part of the Rainbow gay friendly network. Biggin & Scott is located in Victoria and are happy to assist the gay and lesbian /lgbti community when looking for Real Estate. Biggin & Scott is proud to be part of the rainbow flag Australia network and can be contacted on (03) 5348 2328.